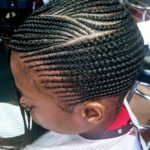 If you’ve been considering braiding and you aren’t sure where to go, you’re in luck – Ramas Hair Braiding is the best African hair braiding salon in the Indianapolis area. With more than 15 years in business, we’re the braiding experts you need to create styles that you’ll love. If you’d like to experience the best of Indianapolis Popular Braiding Styles, come see us at Ramas Hair Braiding. Over the years, we’ve been building our first-class reputation one client at a time. 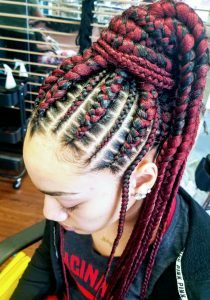 Our regulars know that they can come to us for amazing braiding styles and personalized customer care in a friendly atmosphere. We’re open between the hours of 9AM and 6PM on Mondays through Saturdays and 10AM to 4PM on Sundays. You can either drop in any time we’re open or call 317-496-8229 to set up an appointment for your next braiding style. Braids are an excellent style choice for any man or woman – they’re attractive, fashionable, easy to take care of, and good for your natural hair. Not only that, but braids also give you the freedom to express your creativity; there’s not just one style of braid, there are literally hundreds of them! With so many positive attributes and such a wide range of popular braiding styles to choose from, it’s no wonder braids are all the rage these days. Here are just a few ways you can have your hair braided to express your own unique style. Halo braids, also known as crown braids, start out with cornrows on the top of your head. The cornrows then spread out towards the side, ending in a large braid that wraps around your head like a halo. This look is a fun, distinctive, and stunning choice of hair styles. These braids run diagonally across your scalp forming a criss-cross or lattice-like pattern. 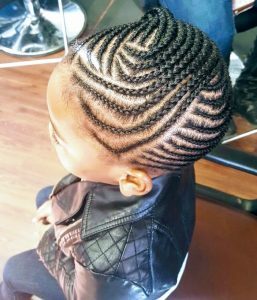 The criss-cross pattern is a braiding style created using small cornrows but you can choose any thickness of braid that you like. If you want a striking look that doesn’t require much time in the stylist’s chair, try criss-cross braids made from gorgeous, thick goddess braids. If you’re looking for a bold, unique style, maybe you should give snake braids a try. A type of cornrow, snake braids get their name from the long S shape that runs from your forehead all the way back to the nape of your neck. To jazz up your snake braids even more, add a few silver or gold cuffs to your braids. Thick, chunky braids are in, and for good reason – they not only look great, they’re also a lot easier to have put in compared to thinner braids. One of the most popular thick braid styles is box braids. You can have three to five chunky box braids that start at the front of your head and end by falling straight down your back – it’s a simple and striking look. Side braids, or “Lemonade braids” as they’re called these days, offer another bold style choice. Braiding has increased in popularity in recent years thanks to their appearance in Beyonce’s video for her 2016 album Lemonade. Just like the name implies, these braids start on one side of your head and sweep off to the other side. If you want a dynamic style that offers something a bit unexpected, then asymmetrical braids would probably be a great choice for you. Asymmetrical braids are cornrows of various sizes – you’ll have some tiny microbraids alongside thick chunky braids and mid-size plaits. It’s a beautiful, creative combination. If you’re a daring soul who wants to make a bold style statement, then give mohawk braids a try. With mohawk braids, you are bound to turn a lot of heads. This is one of the most distinct Indianapolis Popular Braiding Styles you could possibly choose. If you want to funk it up even more, give your mohawk braids an extra pop of color. These are just a few of the amazing braiding styles that we offer at Ramas Hair Braiding. Whatever look you’re going for – whether it’s romantic, sophisticated, dramatic, casual, or funky – we can do it! All you need to do is come in for a consultation or make an appointment with one of our stylists. If you’re not sure what styles you like, we invite you to look through our extensive online braiding styles portfolio to find the best fit for you.